Ryland Peters & Small, 9781788790871, 160pp. Take inspiration from countries all around the globe and whip up hearty salads that are nutritious and full of flavor. From Mediterranean recipes to Asian-inspired classics, salads have never been as popular. This vibrant book showcases beautifully balanced meals, with chapters covering Meat and Poultry, Fish and Shellfish, Dairy, Grains, Legumes, and Simply Fruits and Vegetables. Salads are ideal for light plates, and there are plenty of ideas here that can be made in advance and transported to the office or school. 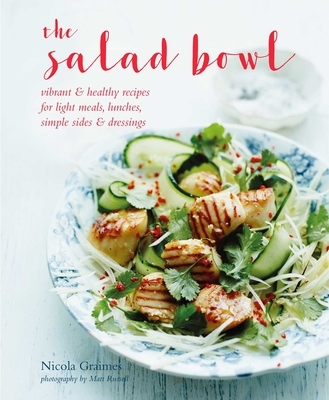 The book also contains midweek ideas that will please the whole family, as well as some impressive dishes that wouldn’t be out of place at a dinner party. Sprouted seeds and micro greens are becoming increasingly popular, and are now readily available to buy, but Nicola goes the extra mile by showing you how to sprout seeds at home, so you will always have some on hand to throw into a speedy dish. With more and more people aspiring to eat healthier diets, and with such a large variety of fresh and interesting ingredients now readily available, there has never been a better time to experiment and discover some new favorites.